There was a time when Myrrh may have been more precious than gold. People have sought after this precious botanical since biblical times for its use as a perfume, incense, spice, and to beautify skin. A gift fit for royalty, travelers carried myrrh across desert and sea to be delivered to kings and queens of old. Today, people still revere Myrrh essential oil for its rich, earthy aroma and skin-benefiting properties. Myrrh oil is also often used during yoga, meditation, and religious practices to promote feelings of spirituality. There’s plenty “myrrh” to know about Myrrh oil uses and the benefits of Myrrh oil. Become a Myrrh master with these nine fun facts and usage tips. Myrrh was extremely valuable in the Middle East and Mediterranean. Today, it’s popular all over the world. The word “myrrh” comes from the Arabic word “murr,” meaning bitter, because of its sharp taste. In other words, you wouldn’t want to add this oil to your morning smoothie. Myrrh essential oil is steam distilled from the red-brown resin of the Commiphora myrrha tree, identifiable by its knotted trunk and white flowers. Its earthy, sweet, and slightly spicy aroma can help promote feelings of spirituality during mindfulness practices like meditation and yoga. In need of a little TLC? A few drops of Myrrh in a warm bath can create a luxurious, spa-like atmosphere. Combine it with Lavender or Lemon, sit back, and breathe in a warm, uplifting aroma. Shampooing your hair might leave it squeaky clean, but it also removes important oils that help hair stay strong. Add a couple drops of Myrrh essential oil to your shampoo to help keep your hair and scalp hydrated. Myrrh is a common ingredient in luxury beauty products, especially products that go on the skin. 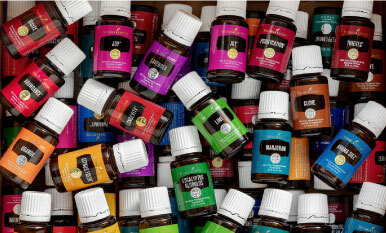 Just a couple drops of Myrrh essential oil can make even drugstore products feel high-end. There’s nothing like a home filled with a relaxing and uplifting scent after a long day. 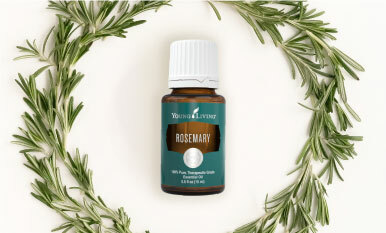 Diffuse Myrrh essential oil in the evening as you and your loved ones unwind together. Myrrh has long been seen as a symbol of sharing during the holiday season. Fill your home with the essence of the holidays by diffusing Myrrh with Frankincense and Orange. If you loved learning about Myrrh, broaden your essential oil knowledge with our posts on Vetiver and Patchouli! 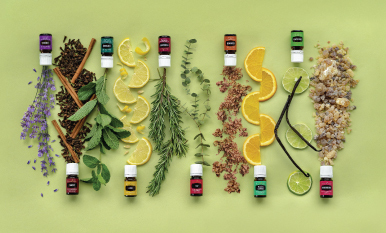 See if you can find some similarities between these interesting oils or—even better—ways you can use them together! What is your favorite way to use Myrrh essential oil?